The Ultimate Guide for when you Visit Assisi, Italy | What to see, Where to Stay & More! We fell in love with Assisi, Italy. We only spent one night there whilst road tripping from Rome to Tuscany to Venice. One night was enough to fall in-love. One night was not enough to float on the feelings of being in-love; we would have loved to stay for longer. Assisi in Umbria had captured our hearts! There is something special about Italian medieval towns. Whilst you are visiting Assisi Italy, you will notice how it is feels like the hills are protectively hugging the town close. There is something about the larger-than-life gateway arches which you have to enter to get inside. Something about those cobble-stone lanes, those rugged stone buildings. There is something about walking around at a leisurely pace, whilst listening to beautiful basilica church bells ding-donging in the distance. There is something stunning about the simplicity of such a peaceful town which has such a strong religious heritage. 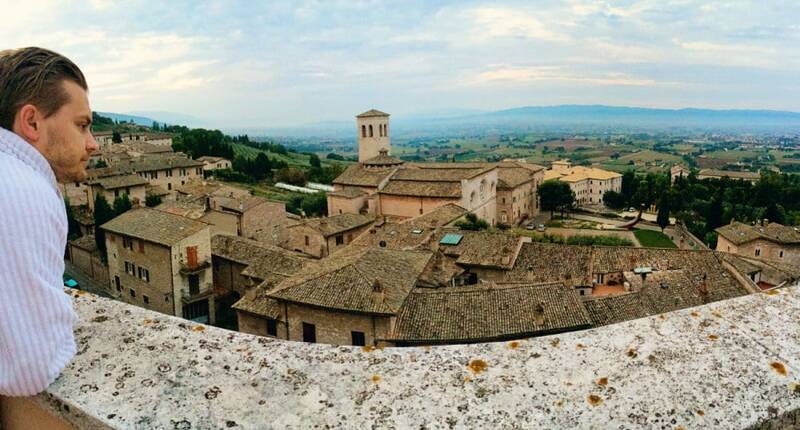 There is plenty of reasons why you should visit Assisi Italy! Here, you can feel the pride from the residents who live here. It radiates around you! In the smaller beautiful little details you find around corners; on the steps leading up to the doors and in the pot-plants scattered around the town. Do yourself a favour and make sure you go and explore those picturesque steep and narrow lanes. Make sure you turn that corner and find a new surprise, a new reason to pull out your camera. Try and see if you can count the churches located through-out this town. Enjoy the gorgeous fountains splashed around in the sunny piazza’s. See if you can figure out where most of the gorgeous cobble-stone lanes lead to? Assisi is a little town perched on a hill in Umbria, right in the heart of Italy. This town is one of Umbria’s more famous towns. Most people relate this town to St Francis of Assisi, a 12th century monk who founded the Franciscan order and brought about a religious revolution. As a result, for the last 700 or so years, this town is a very important pilgrimage site for Italians. And one of the most well renown reasons for visiting Assisi is because of the magnificent Basilica of San Francesco d'Assisi. 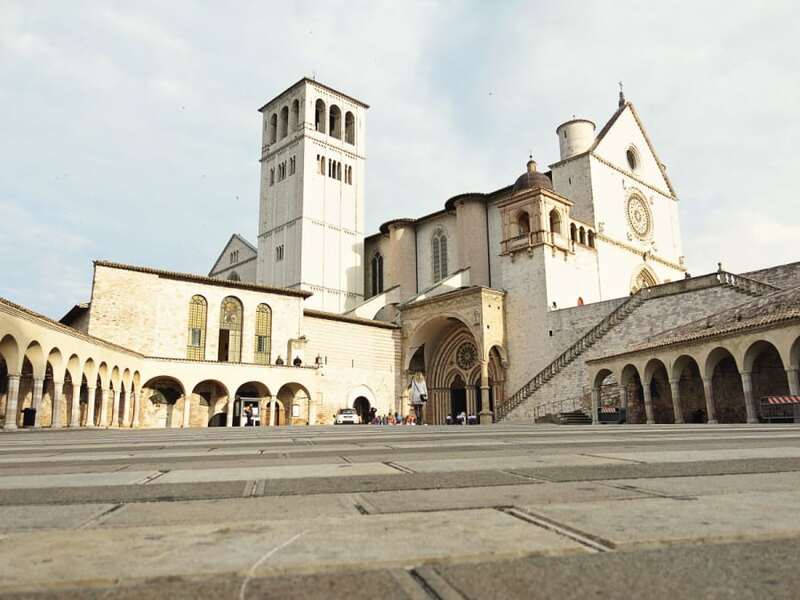 But there is so much more to love about Assisi besides the main Assisi attractions such as the glorious St Francis Cathedral. So many reason to fall in love over and over. Every corner will overwhelmed your senses with beauty. The gorgeous touches of ‘Italian’ you find. I mean seriously, this gorgeous car is out of a movie about Italy right?? Everywhere you look, beauty will awaken your senses and make you feel alive and at peace. 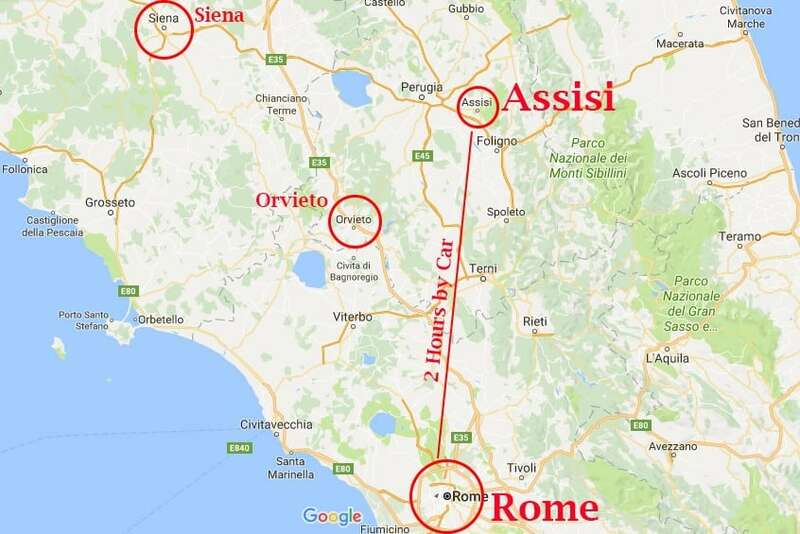 Where is Assisi and How far is Assisi from Rome? Assisi is a town located in the Province of Perugia in the Umbria region of Italy. The drive from Rome to Assisi will take you around 2 hours. 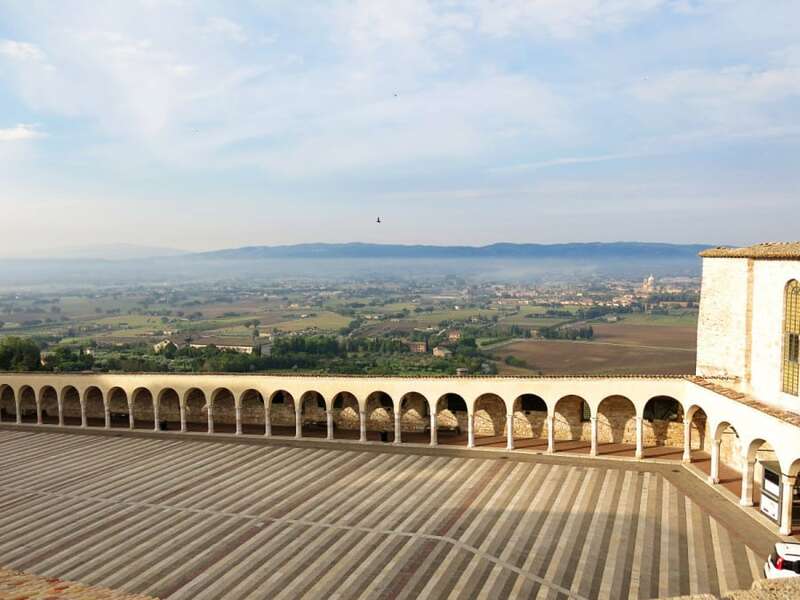 You might wish to check the Assisi weather before you head out to make sure that you have a beautiful clear day. How to get to Assisi from Rome? 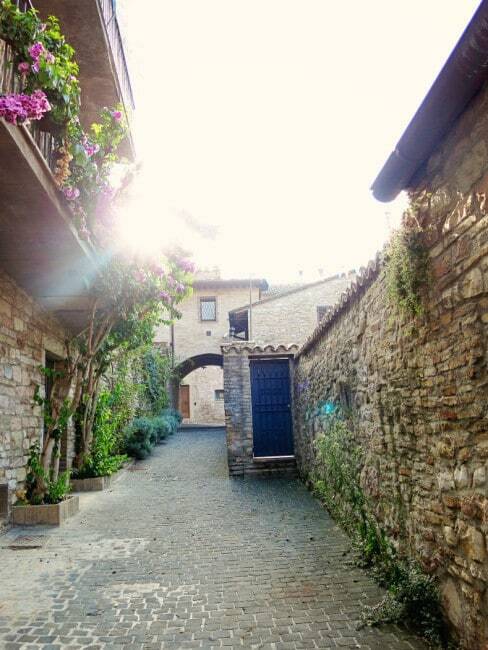 We highly recommend hiring a rental car and enjoying the 2 hour drive to Perugia Assisi at your own pace. There are plenty of gorgeous places to stop at on the way, our favourite stop on the drive is Civita di Bagnoregio. We prefer renting our cars through Avis, they always offer fabulous comparison prices and their customer service is generally top notch. For a transfer service that is always reliable and that offers exceptional service, we highly recommend Blacklane! Your transfer from Rome to Assisi will cost you around 300 Euros. However you can also choose to take the train from Assisi to Rome or vice versa. Some trains runs direct whilst others include a stop, travel time can be from 2 hours to 2.5 hours and once at the train station in Assisi you will need to take the bus (Line “C”) up the hill to the walled section of the town. Travelling by train is the cheapest option but will take the longest. You can book your train tickets here. Lastly, an easy option would be to take a Viator Private Tour: A day trip from Rome to Assisi. This tour would set you back by around 80 Euros. Click here to read more about this tour! If you are wondering what to do in Assisi Italy, you might quickly learn that most people love Assisi because of its important historical background. There are plenty of things to do in Assisi; most of which revolve around cathedrals, monasteries and churches. Head to La Locanda del Cardinale for a very unique experience where you will enjoy your meal on a glass floor, through which Roman ruins from over 2,000 years ago are visible. The restaurant is pretty posh with modern decor and large crystal chandeliers. The food is on the expensive side, but the meal is one you will never forget. If you love traditional Italian cuisine with a modern spin then this is the restaurant for you! Yummy food and the location is pretty spectacular too. Head to Le Mandrie di San Paolo which is housed in a renovated cottage that was built way back in the 11th century. This agriturismo project produces its own organic olive oil from the olive trees that are on the same property, how cool is that! Small Group Assisi Tour: See the highlights of Assisi on a 3-hour walking tour with a knowledgeable local guide. Click to read more about this tour here! Authentic Hands-on Cooking Class in Assisi: Live authentic Italian experiences…taste the flavours of regional traditional cuisine and become a real Italian master-chef for one day, surrounded by the Umbrian green hills. Click to read more about this tour here! Extra Virgin Olive Oil Tour with Lunch in Umbria: Visit a traditional extra virgin olive oil mill and taste the flavours of regional traditional cuisine surrounded by the Umbrian green hills. Click to read more about this tour here! Below you find a list of the best hotels in Assisi Italy. 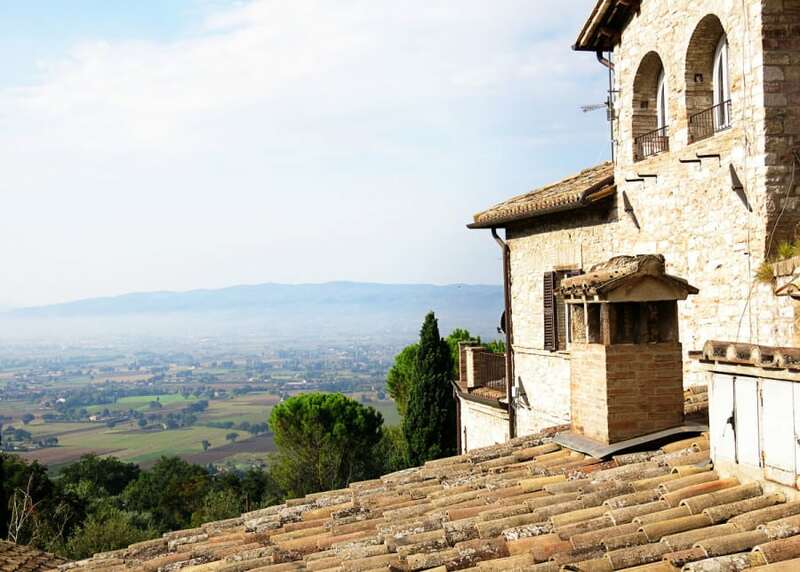 The more premium priced hotels in Assisi will typically offer you glorious views over the surrounding areas! We had a room with a patio and it was most definitely worth every single dollar! 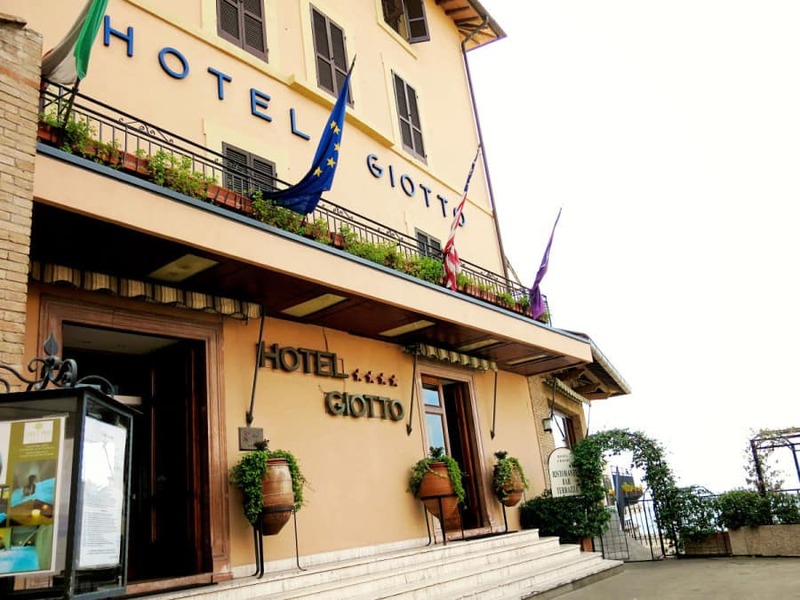 During our stay at Assisi, we chose to stay at Giotto Hotel and Spa. We have hundreds of awesome things to say about Hotel Giotto Assisi! This is our favourite Assisi hotel. It has rooms to suit various budgets and can accommodate families in their larger rooms as well. 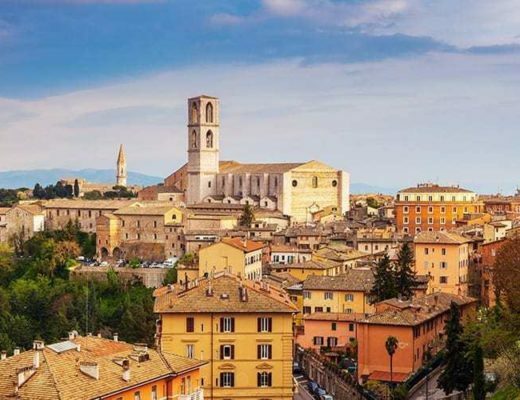 We love that it has a wellness centre and the panoramic views across to Spoleto and Perugia are definitely spectacular. At the spa, you can indulge in beauty treatments and massages or you can head to the pool which has delightful hydromassage jets, a steam room, and a sauna. The staff are exceptionally friendly and helpful with recommendations. If you book a room with a patio, you can watch the sun rise over the town and valleys below. Of course you got to love a hotel that has spa facilities! 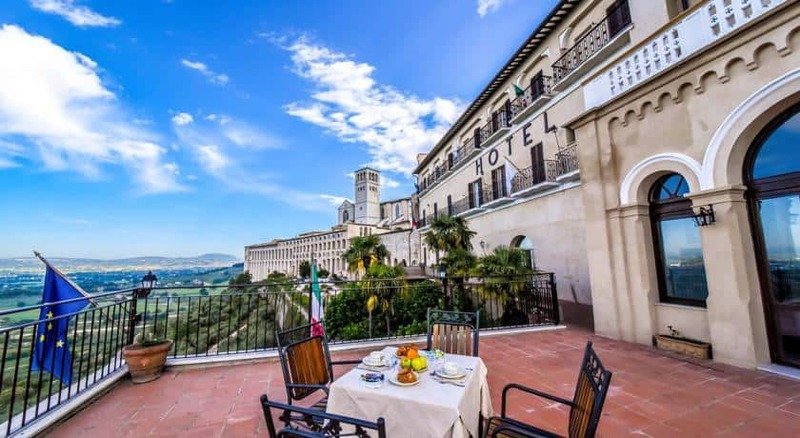 The Cenacolo Hotel is the biggest hotel in Assisi, but it is important to note that the hotel is located a little way away from the historic sights that you will want to visit in Assisi (although the bus stop is really close by). What we really love about this hotel is that it has been built like a convent-style cloister. 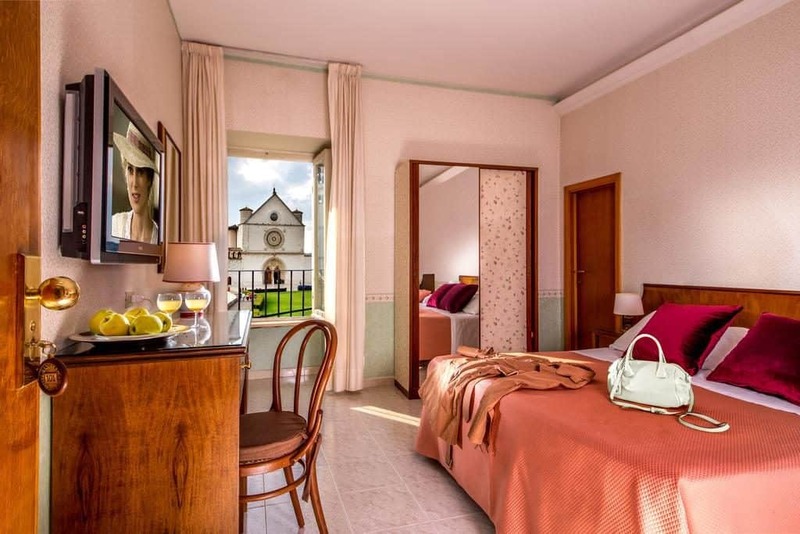 The rooms of this 4 star hotel are modern and comfortable and most offer panoramic views over Assisi, Santa Maria Degli Angeli and the nearby Mount Subasio Natural Park. 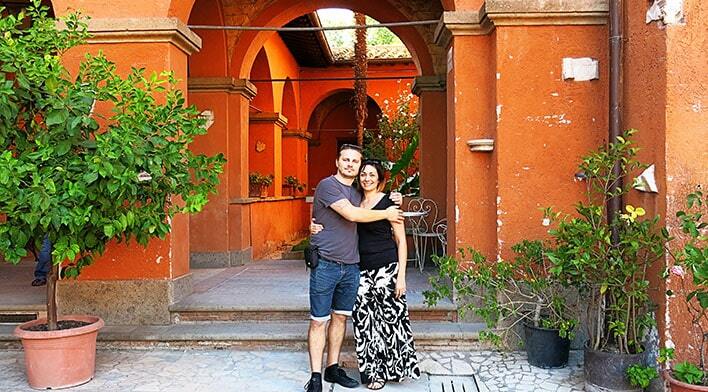 We LOVE LOVE LOVE the location of Hotel San Francesco. It is located right in front of Assisi's Basilica di San Francesco and you can even get views over the basilica from some of the rooms! If that is not enough to entice you yet, then wait till you see the views from the rooftop terrace! Whilst the room aren't quite as luxurious and modern as some of the other hotels, you will truly enjoy the friendly staff as well as the delicious breakfast. 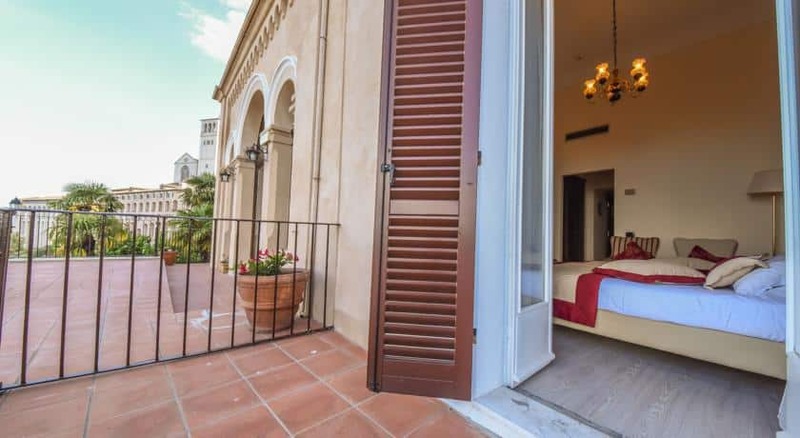 The perfect location, right in front of Basilica di San Francesco. Sensational views of the church and the Umbrian countryside from the roof terrace. The friendly and welcoming staff. 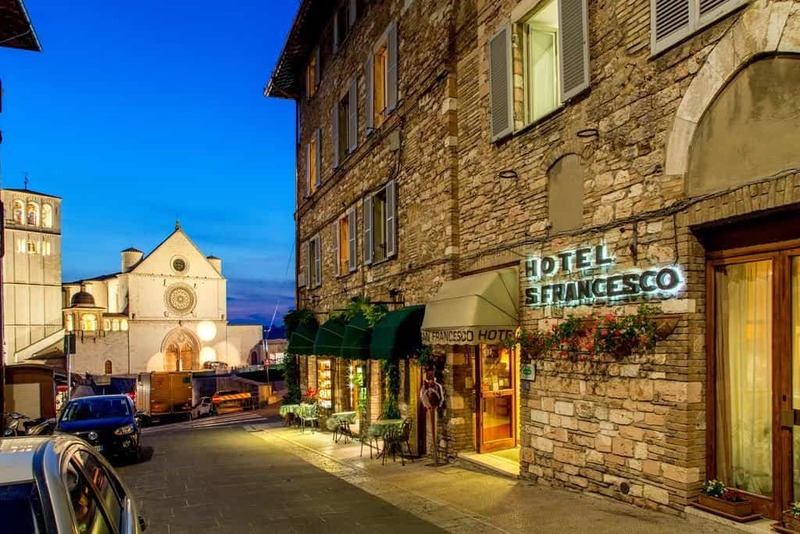 This 4 star hotel is a popular hotel due to the fact that it is located just opposite the Basilica of San Francesco d'Assisi. 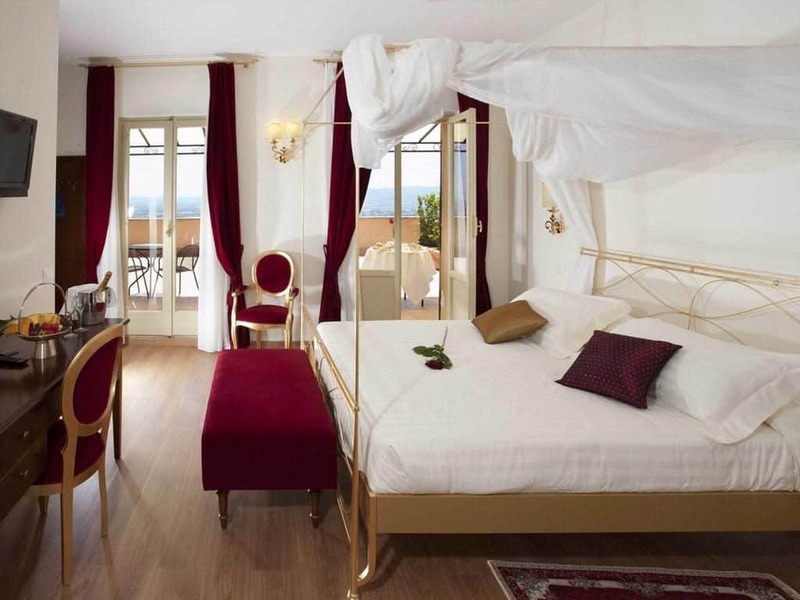 The rooms are all beautifully furnished in a classical style designed with 19th century décor. There are also 2 open-air terraces from where you can get stunning views over Basilica of Santa Maria degli Angeli. You will find that the staff are all very welcoming, but don't expect too much from the included breakfast. 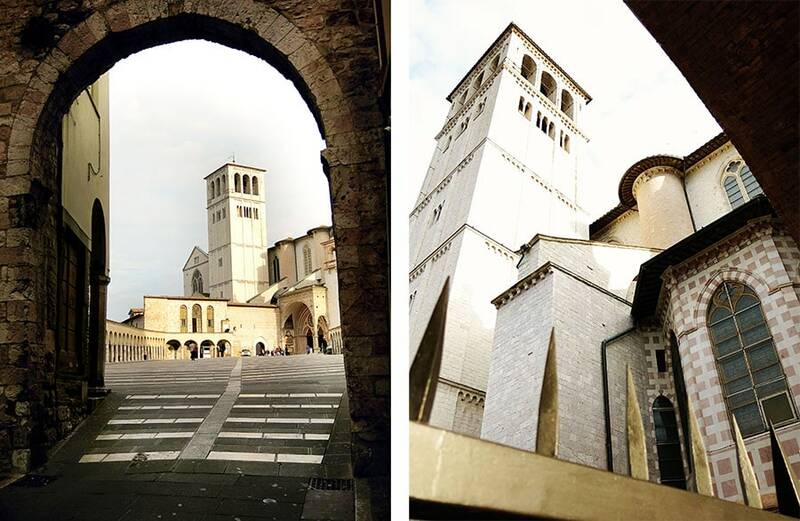 The super close proximity to Basilica of San Francesco d'Assisi. 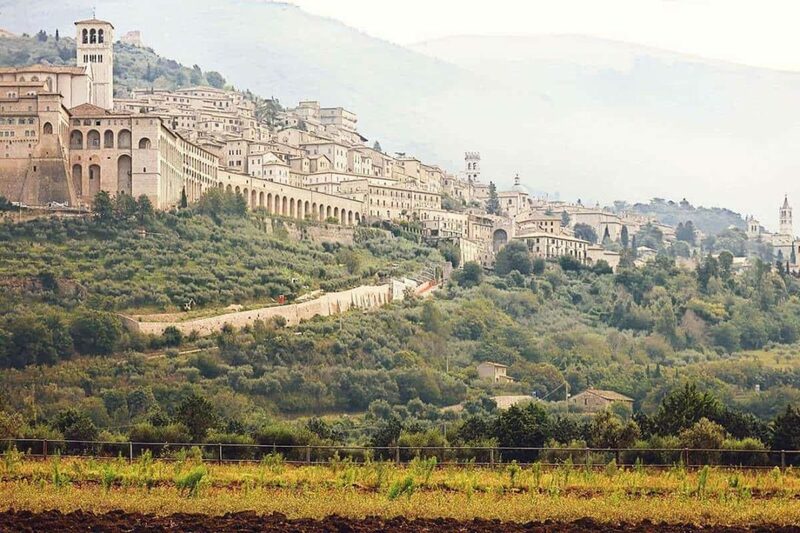 As you can see there are plenty of reasons to fall in love with Assisi Umbria, and we are sure that this gorgeous Umbrian town will capture your hearts, just as it did ours. We do highly recommend that you book yourself into one of the hotels in Assisi Italy and that you stay for at least 2 nights. 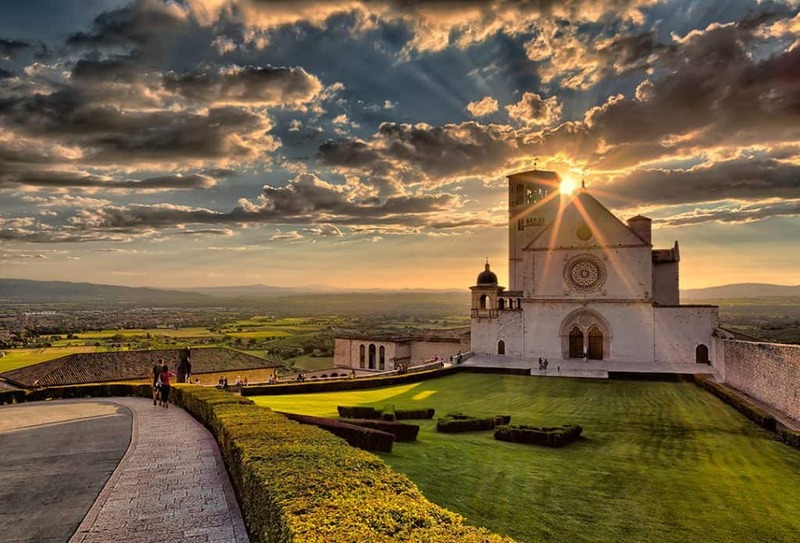 Are you planning a trip to visit Italy Assisi? 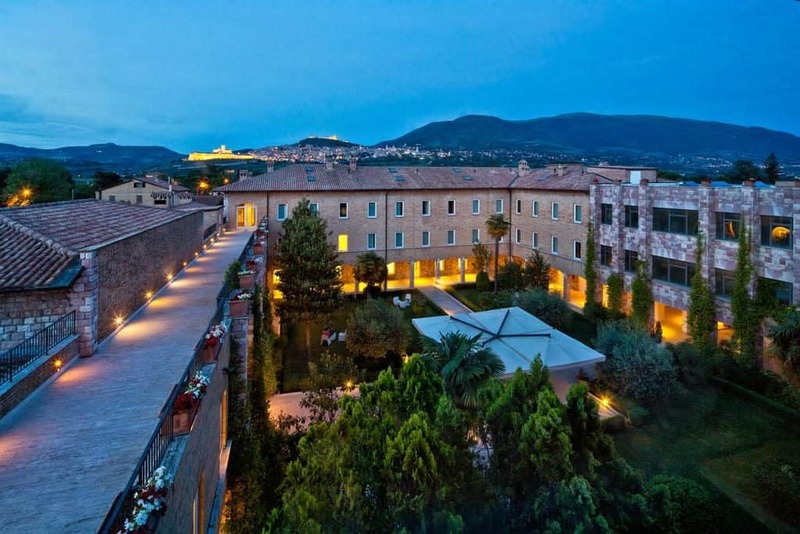 Which Assisi Italy hotels did you find tempting? * This post may contain affiliate links which won’t change your price but will share some commission. Please see our disclaimer page for more information. Looking for The Best Things to do in Perugia, Italy? Assisi looks beautiful and I love that little car! Hi Elise, we definitely want to go back and stay for longer at Assisi as our stay was too short, such a gorgeous little town!! And yes, I have some sort of a love for those Italian cars!! 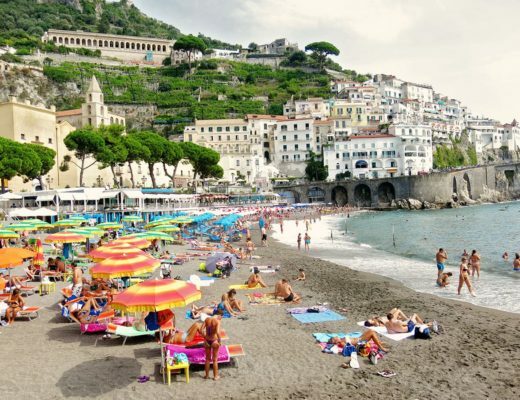 There is a photo of another red one in our Amalfi Coast Road Trip post!! 🙂 They are so cute! 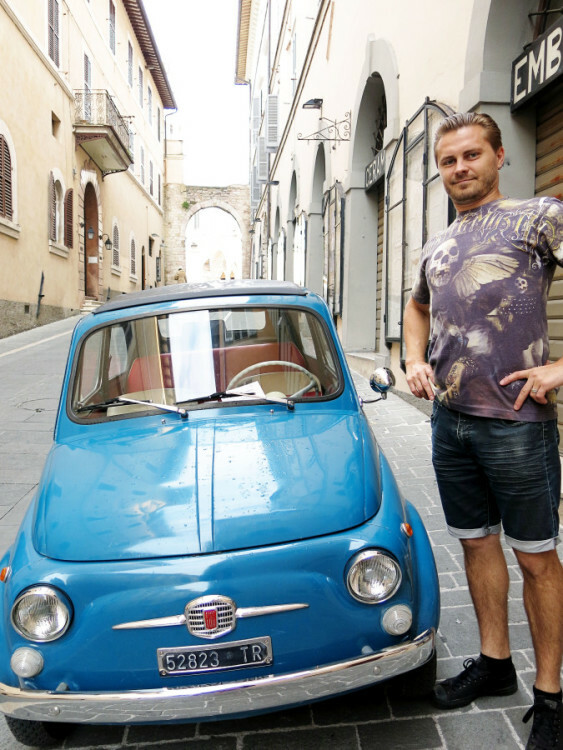 Francesco, Fiats, and food. Sounds like a quintessential Assisi experience. I love the light in that town in your photos. What a gorgeous guide to Assisi! When I went, I was only there for the day. I would love to go back and spend more time there! The temple of Minerva was my favorite thing there. It was incredible! Cheers! The town of Assisi looks so pretty. I should have visited it when I was in Perugia. But then there is always a reason to travel back to that area. The photos you posted do so much justice to this pretty Italian town. And I’m glad how well it was rebuilt after the earthquake. All in all a great city guide! I did not know about Assisi until now. Such a charming little town. Added to my bucket list. We did a trip to Italy last year but just visited the big ones. Definitely going back for this. Thanks for sharing. 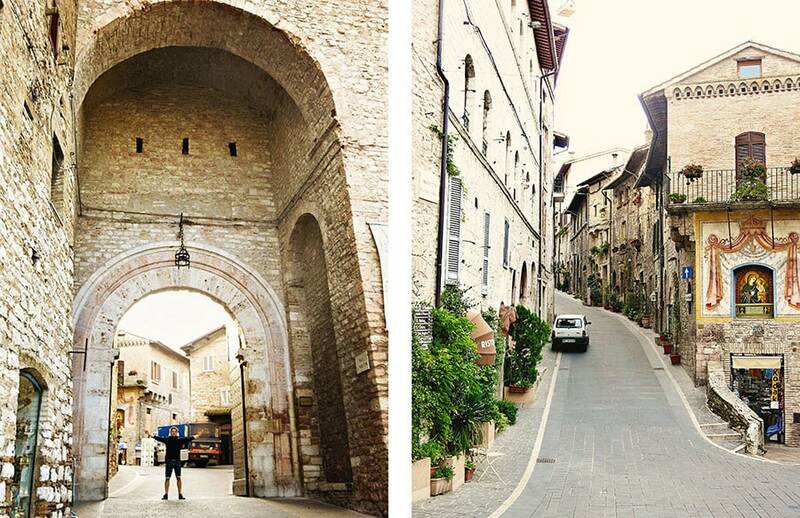 Assisi looks like an adorable town! I love medieval towns, and would love to visit sometime. 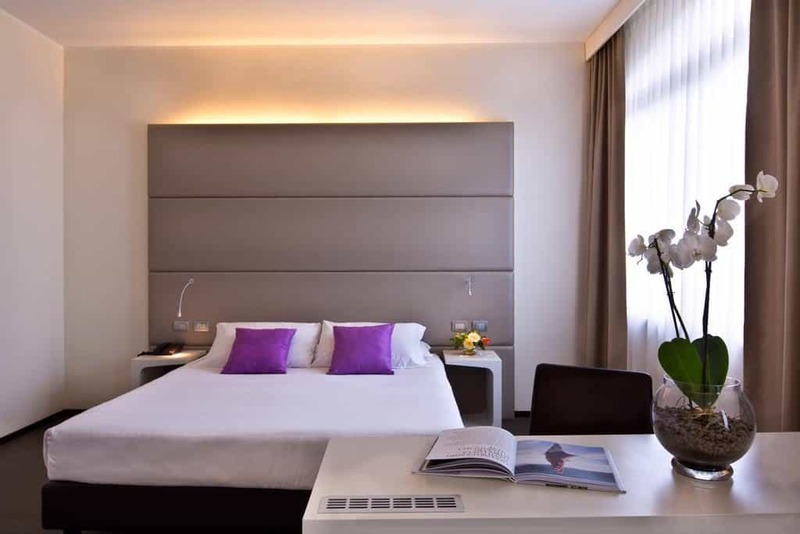 Thanks for the hotel suggestions too–always nice to have a heads up on nice places to stay! WOW, this is a thorough article! I must admit that Assisi hasn’t really been on my radar, but now it sure is. Love your second photo, especially, and the idea of an olive oil tour! Hi Lillie 🙂 Assisi is super special, if you go to Italy try to include a few nights there. Wow this was a very informative and helpful article! I’m going to be in Rome this summer and will definitely look into a trip! Lots of options of things to see/so maybe one day won’t be enough! Ah lovely! Rome is incredible!! If you can only fit in a day trip, I still recommend it! But if you can, make sure to stay for 1-2 nights! Ah Emily, Italy is incredible!! One of my favorite countries! And yes, food and gelato 🙂 Yumm!! What a thorough, thoughtful, helpful post. I agree that medieval Italian towns are alluring, especially when the view is as spectacular as what you captured here. Your photos are lovely. What a cute little car! Thanks for sharing all the info about Assisi. It looks like a wonderful city where there is a lot to do. Maybe worth to visit because we love Italy and its cuisine. 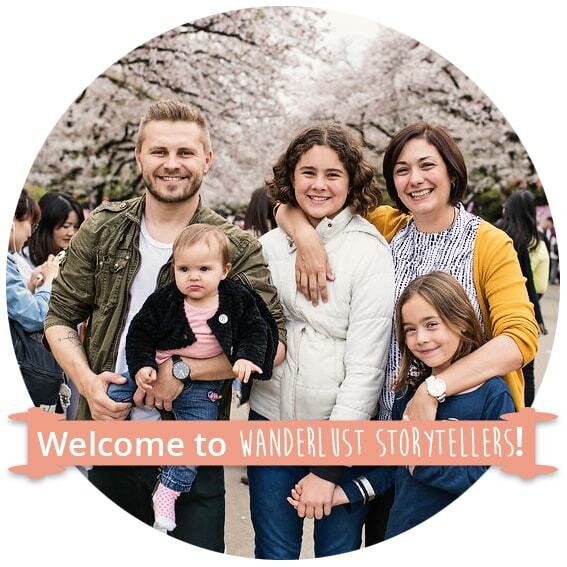 This blogpost will come in handy if we ever go there! Such a charming little town, Assisi. Loved your photographs and the detailed guide!